Donna Touchet was born on June 7, 1952 to John Harry Broussard and her Jane Broussard. In 1970, Touchet graduated from Maurice High School and began her banking career with American Bank. The bank has since changed ownership twice and is now Whitney Bank. 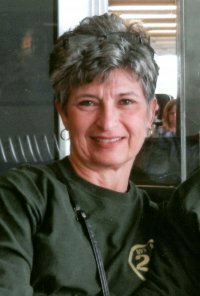 Until her retirement on December 31, 2013, she the branch manager at the Lafayette Oil Center location, In 1986, the Touchets purchased Touchet’s Service Station and Bar from Calvin’s parents. In 1992, Carroll Langlinais and Garland Thompson had the idea to start a regularly scheduled Cajun French music jam session and the Touchets agreed to host the sessions. At first, they began at 8:00 am and finished at noon. Currently, the popular jam sessions begin at 2:00 pm and lasts until all of the musicians have finished playing. The Touchets have been hosting these jam sessions every other Saturday 22 years.